This sweet little white cotton blend batiste slip was hand embroidered in the Philippines. 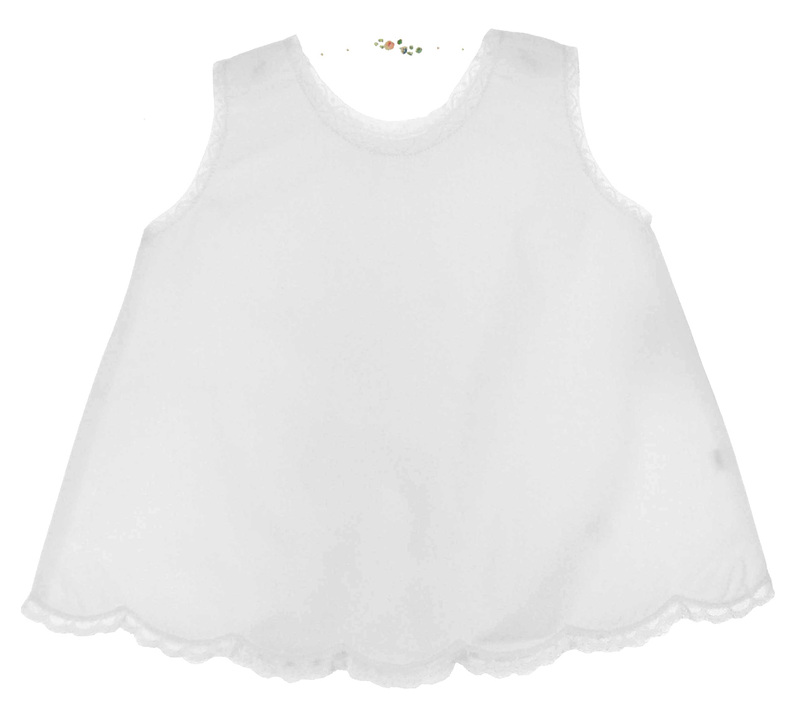 It features simple A-line styling with lace trimmed neckline, armholes, and scalloped hem. 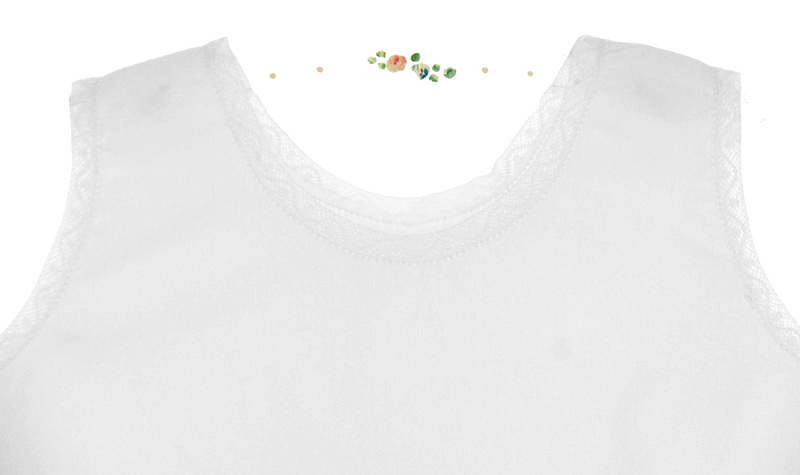 The slip buttons at the top of one shoulder. Perfect for your new baby girl to wear home from the hospital or for first portraits. 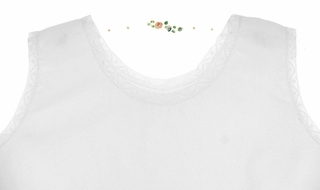 Note: length is measured from top of shoulder seam at neckline to bottom of hem lace. Please measure carefully and order by length desired rather than by the baby's age. Note: Similar mid-length and long christening slips are also available. See below.